Many Hungarian foods come drenched in paprika and/or cream -- all the stews, for instance -- and many of the vegetables we encountered were pickled. I have to admit that we didn't connect too well with some of the food, although I'm willing to accept the possibility that we just chose the wrong restaurants (or the wrong dishes). All that heavy paprika-cream stew (with fish or mushrooms, for the kosher/vegetarian), served with a side of egg-flour dumplings is nice, but it's a little much to eat every day. 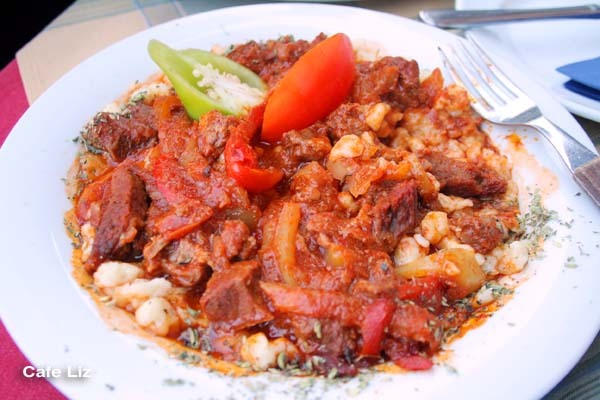 (Photo: Nice dish of goulash and dumplings at a touristy restaurant in the castle district.) That said, there's a large range of non-Hungarian restaurants -- we saw many Italian restaurants, Turkish kebabs and pizza places in particular. 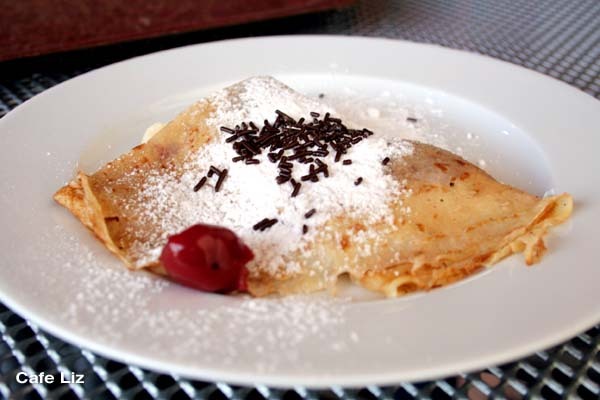 Vegetarians will do much better at the palacsinta bars, which serve a form of crepe or blintz with a wide range of sweet and savory fillings. Coffee shops are also a great (albeit not so nutritious) option. Let them eat cake. 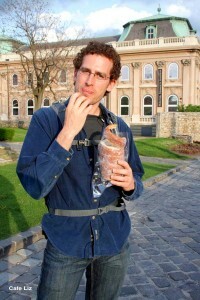 In the photo: Eitan with a kurtoskalacs, a hollow Transylvanian pastry, on the castle grounds. We very much enjoyed both the castle and the kurtoskalacs. Keeping strictly kosher will be a bit more problematic if you don't go only to kosher restaurants. Unless you avoid meat entirely, you may find pork popping up where you least expect it, such as in bakery rolls, and cream appearing in your meat. Apparently the Turks are to blame for the Hungarian affection for pork: Marauding Turks would take all the other farm animals, but left the pigs behind for religious reasons. We didn't eat at any specifically kosher or vegetarian restaurants. There seem to be a good number of kosher restaurants, as well as "Jewish style" restaurants that are NOT kosher (they generally say so). As for the vegetarian restaurants, those we saw were all Indian (thanks, but I'll go to India for that). Despite what we were told, Budapest seems like a great city for biking (but then again, we think Tel Aviv is a great city for biking, too). We saw a lot of cyclists in the streets, and there are even bike lanes in some places. There are several bike rental shops as well. We got around mostly by foot. 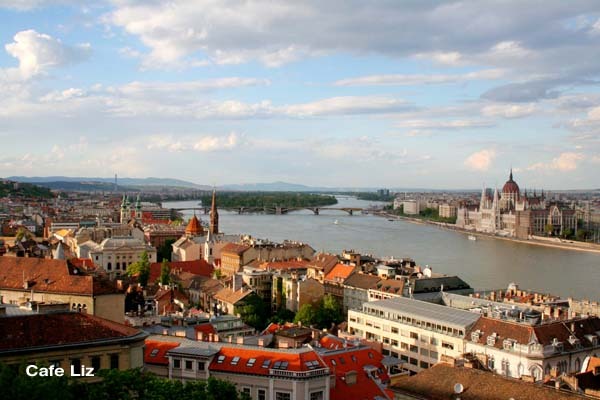 We spent most of our time in the downtown neighborhoods on both sides of the Danube, where most of the sights are. If you're not in a hurry to get anywhere, you might as well walk, in order to explore streets large and small, with their beautiful architecture and frequent parks. Unfortunately, everything seems to shut down at 6 p.m., with the exception of bars. So eat early. We learned that the first Hungarian nobles were from the House of Arpad. Their name happens to mean vampire in Hebrew. Coincidence? This is by no way meant to be a comprehensive guide to Budapest or its restaurants, just my impressions. Some other useful sources can be found here, here and here. 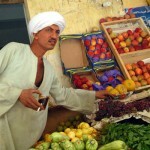 For more about food, you can look here and here. VISIT THE GREAT SYNAGOGUE. 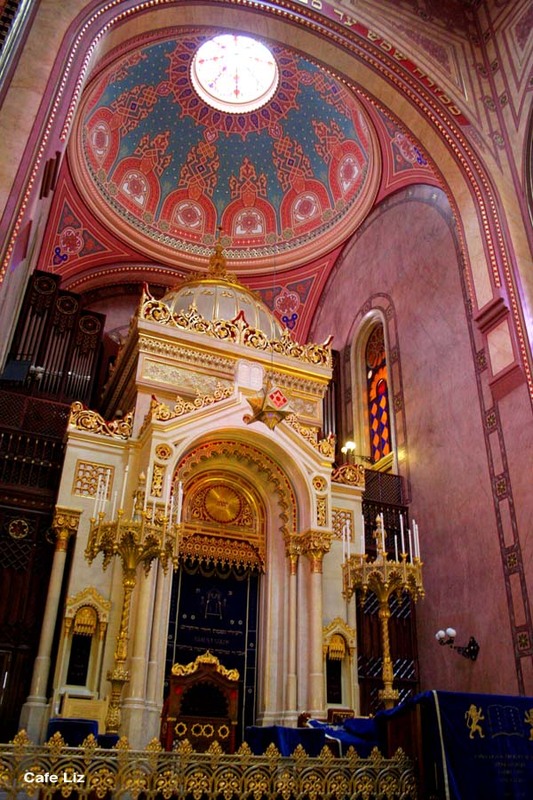 It's the second largest synagogue in the world. Tours are offered in half a dozen languages, but go with Hebrew if you can understand it. That is, unless you want your tour guide to explain what the Star of David is (this is the point when we switched groups). If, however, you find it only natural that the synagogue is decorated with Stars of David but really want to know why the place looks like a church, you're better off joining a Hebrew tour (the answer: The synagogue was built under the auspices of the emperor). Our tour guide, Reuven, gave a fabulous explanation from an Israeli, Hungarian-Jewish perspective, and also invited us to Friday night services (6 p.m., no cameras). VISIT A BATH HOUSE. We went to the Gellert bath, arguably the most touristy and the most expensive, but it was a beautiful place and good fun. 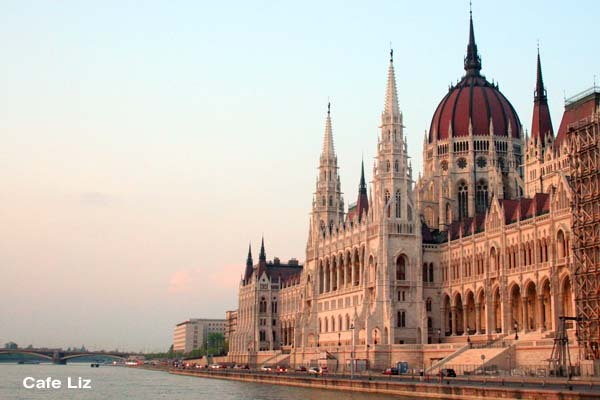 TAKE A CRUISE DOWN THE DANUBE. Lots of boats leave from the dock between the Elizabeth and the Chain bridges, in front of Vorosmarty square. VISIT THE PARLIAMENT BUILDING. Yes, it's open to visitors until 4 or 6 p.m., but de facto tickets sell out by mid-morning, so show up early and reserve a spot for later in the day (you can't reserve online or a day in advance). The one-hour tour includes about 20 minutes of security checks, but the building is an impressive sight. Apparently the submissions to the contest to design the parliament building were all so good that they built the second- and third-place winners across the street. We also went on a tour of the castle labyrinth, which was more fantastical and less historical than we'd expected, and seems better suited for children, as well as the Szepvolgyi caves, which would have been better had we not been grouped with 50 pensioners in a Hungarian-only tour. We also went to the Memento park of communist statues, which is interesting, but out in suburban Budapest. It's heavily pushed by all the tourist information pamphlets. I left with the feeling that I'd been a bystander to a Hungarian national catharsis. If you're going by bus, look out for the park on your left. Apparently there are many small towns nearby that make a pleasant day trip, but we ran out of time. Here are some of the restaurants and cafes we liked. Budapest has many glamorous historical coffee shops that we passed but never ate at, including Gerbeaud, Central, Lukacs and Astoria. We tend to drift toward more middle-class establishments. 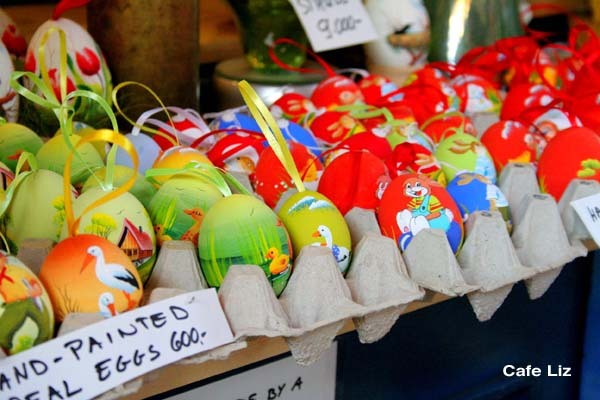 I list prices in forints, but the exchange rates are more or less 50 forints per shekel and 200 forints per U.S. dollar. VISTA CAFE (Paulay Ede U. 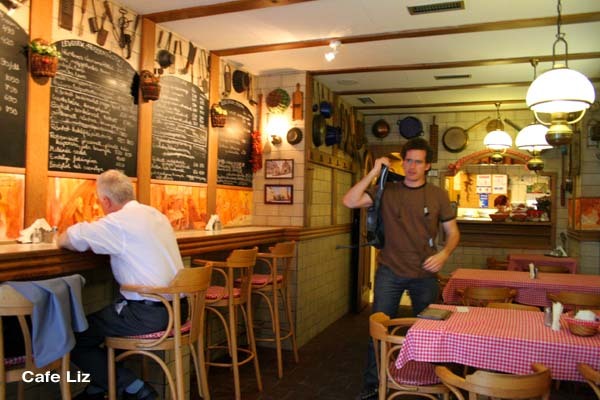 7) This place offers a mix of modern and Hungarian food, such as goose broth with matzo balls. It clearly invests in fresh ingredients and presentation, and based on the signs next to the door, I'm not the only one who thinks so. They have a few nice vegetarian options: Eitan ordered a tofu steak with grilled vegetables. However, beware of hidden pork (such as in the dumplings). Open daily 11 a.m.-midnight. Our meal included two main dishes, a side of pickles and a glass of wine, and cost around 5,000 forint (100 shekels, or $25). KISHARANG (Oktober 6 U. 17). While the daily menu (or someone's thesis) is written on a chalkboard in Hungarian, this etkezde (traditional eatery) does have a menu in English for tourists. Intimate place with a pleasant, country-style atmosphere. I had beef goulash soup (gulyasleves) while Eitan had mushroom goulash with cream and dumplings. It totaled about 1,500 forint. 11 a.m.-8 p.m. Mon-Fri, 11:30 a.m.-4:30 p.m. Sat-Sun. NAGYI PALACSINTAZOJA, on Batthyany Square (Batthyany Ter. 5) This palacsinta chain serves a mix of sweet and savory crepes, as well as potatoes with various toppings, for very cheap prices. This branch had an impressive, two-storied mirrored interior. We shared a spinach crepe, a sour-cream cheese crepe and a potato, plus a sweet crepe for dessert, for about 1,000 forint. This branch is open nonstop. There's a large grocery store (Spar) next door. CAFE NOE PATISSERIE (Wesselenyi U. 13) This is the place where we had the chocolate-cream cake with marzipan that I'll remember as long as I remember Budapest (top photo). This tiny coffee shop sits on a quiet street a block from the synagogue, and has a display case full of wonderful cakes. It pays homage to its location with a marzipan klezmer orchestra on display, as well as a cake made from layers of matzo and cream (we avoided it). Open 10 a.m-6 p.m. Mon-Thurs, 10 a.m.-4 p.m. Fri. Slices of cake are in the 250-450 forint range, as is coffee. BAKERY (Szepvolgyi Ut. 5) Way out of the center of the tourist district, we stumbled across this bakery while returning from the Szepvolgyi caves. It had massive bread loaves in the window, and a long line of locals. We got great pumpkin seed rolls, the best apple strudel I've ever had (the crust was dry and flaky, and not sweet), and two cubes of iced cake for about 500 forint. Watch out for the bacon rolls, though (just ask if what you're ordering is vegetarian). JEGBUFE (Ferenciek T. 10) This large coffee shop and bakery sits at the foot of the Elizabeth Bridge on the Pest side of the river, and has a gorgeous mirrored interior. 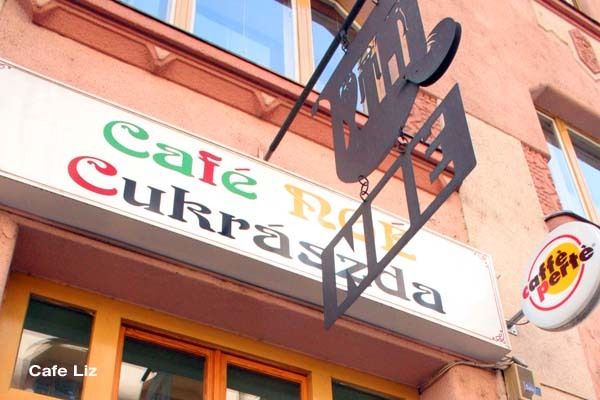 All the other online sources (which strangely resemble one another) are calling it a great example of a Communist-era cafe, so I will too. It has multiple display cases of cakes and pastries, as well as a waffle stand and ice cream. No chairs, only tables. Order cake and coffee, and eat standing by a window, watching the street. I loved the cakes in the window, decorated with Venetian masks and a bird nesting on gray fondant. 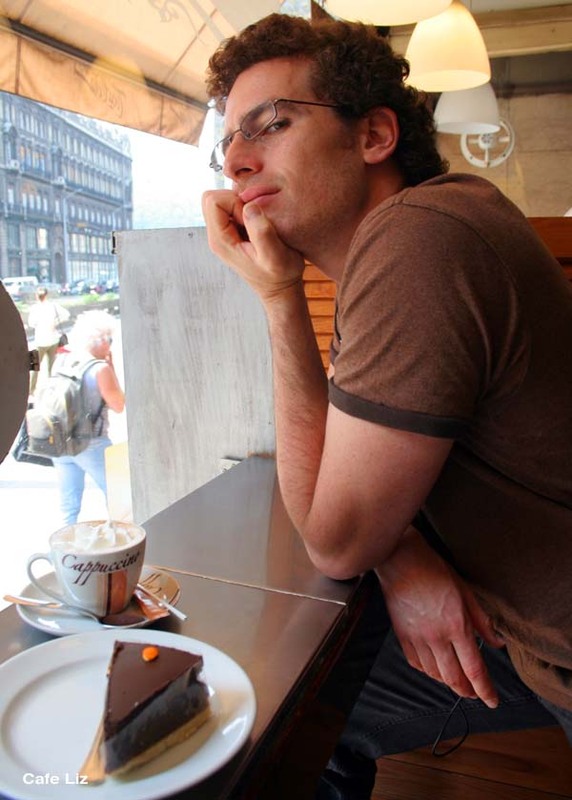 Coffee and cake for two came out to around 1,200 forint. 7 a.m-9:30 p.m. Mon-Fri, 7 a.m.-8:30 p.m. Sat, 8 a.m.-9:30 p.m. Sun. 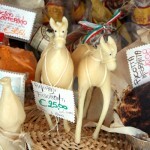 7 Responses to "Five days in Budapest: Foods and places we liked"
Wonderful travelog – both food and non-food. I love kurtoskalacs, first ate it on the Hungarian side of Romania. It is fantastic. They now sell them in several places in Israel including a new bakery on Zion street in Yafo if I am not mistaken. 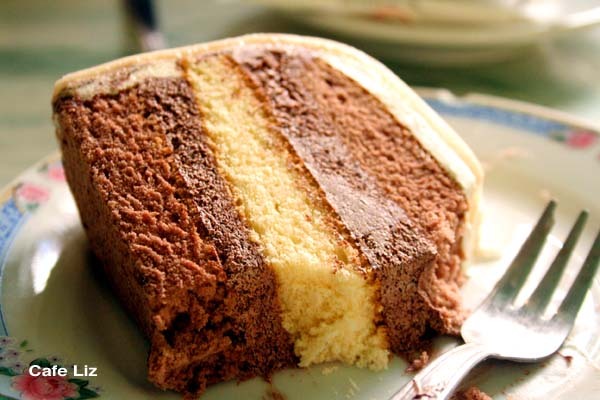 This chocolate and marzipan cake looks delicious. We wanted to use it for our wedding cake. Could you share the recipe with me? I could not find it on the site. It was delicious! But I didn’t make it, it’s from Cafe Noe, mentioned above in the post. Good luck!